The presidential motorcade on Main Street at Griffin Street in downtown Dallas in 1963. Fifty three years ago today, Lee Harvey Oswald shot John F. Kennedy as the president traveled through Dealey Plaza in a motorcade. Items related to that fateful day have recently been put up for auction, The Associated Press reports. 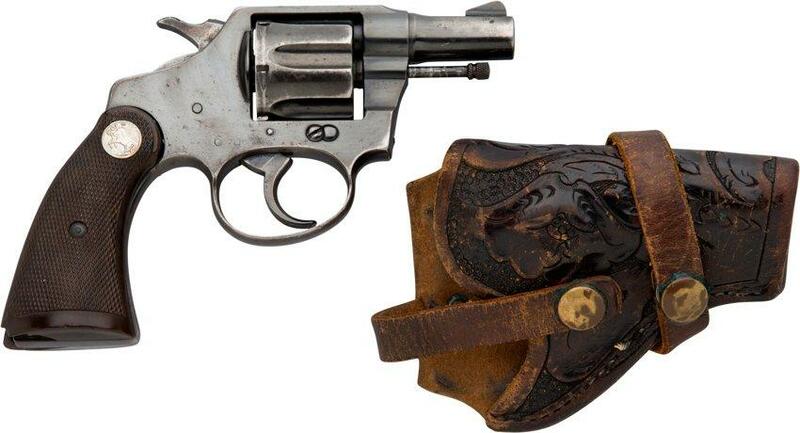 Dallas-based Heritage Auctions is selling a .38-caliber Colt Police Positive double-action revolver used by late Dallas police officer Gerald Hill in Oswald's arrest. Bidding opened at $4,000, double what was asked for the sports coat Hill wore during the arrest. The gun used by Sgt. Gerald Hill when arresting Lee Harvey Oswald. AP reports that Hill’s widow, Bobbye Hill wishes her husband’s gun and sports coat weren’t being auctioned, but rather donated to the Sixth Floor Museum, where she’s contributed several of her husband’s belongings in the past. Goldin Auctions in New Jersey opened bidding for the handcuffs placed on Oswald at $50,000, although the auction house now predicts they're worth around $250,000, AP reports. Other artifacts and pieces of evidence from the assassination have been sold in the past, including Kennedy's limousine license plates, Oswald's casket and the gun Jack Ruby used to kill Oswald. Five stories that have North Texas talking: Protests broke out after the unveiling of an African-American memorial at the Capitol Saturday; Uber wants to return to Austin; a Plano painter’s insatiable curiosity led him to a bright future; and more. Five stories that have North Texas talking: Wrestlemania 32 generated $17.4 million for the D-FW area; the State Board of Education will vote Friday on a whether to reject “Mexican-American Heritage” textbook; Willie Nelson’s playing the Granada — twice; and more.